There is a house on the short walk between me and the grocery store that recently planted half a dozen huge sunflowers in the front yard. The flowers are planted beyond the lawn up against the house and were clearly intended to face west towards the street. These people must be new around here. Sunflowers are sun-worshippers. They face east as if they spend the whole of the long, dark night pining for the dawn, unwilling to miss even one of those first rays each morning. 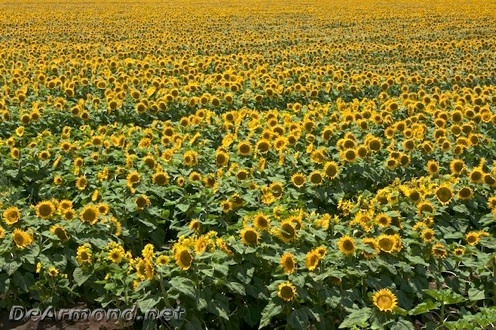 You can see field after field of them here in our little agricultural town, and right now they’re all in bloom. Driving down County Road 102, you’d think they were all looking right at you. But make no mistake, their heavy heads are looking past the road, past you and your noisy little car, and straight into the sun. So here’s this cheerful little house on the way to the grocery store with six bright sunflowers out front, all of which are craning their necks to peek around the edge of the building, straining their stems to bow to the sun. Not the effect that I think they were going for. Still, I kind of like it. Sometimes nature masters us, you know?